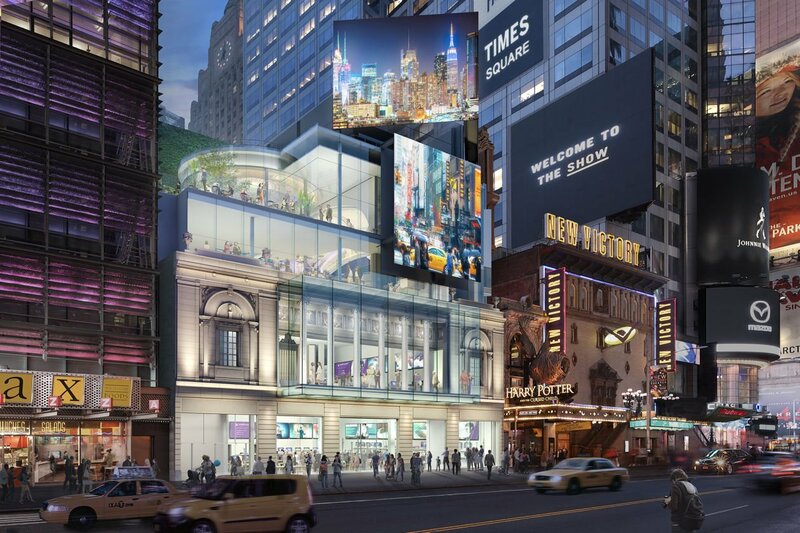 New York developer Stillman Development International LLC has signed a 73-year-maximum lease on the Times Square Theater on West 42nd Street with plans for a $100 million makeover in keeping with neighbors like Hershey’s Chocolate World and Old Navy, the Wall Street Journal reports. Shuttered for almost 30 years, the theater, which opened on September 30, 1920 with Florence Reed starring in “The Mirage,” is seen by some as the last vestige of the neighborhood‘s descent into late 20th century blight before rising to new heights as a tourist mecca. The developers’ plan is to renovate and add to the theater’s historic architecture and lease it to retail brands seeking a real, live store with entertainment potential to lure shoppers away from the internet. Inspired by the current neighborhood hit parade which features “interactive retail” offerings like the NFL Experience Times Square, where football fans simulate calling a play in a team huddle and National Geographic’s Encounter: Ocean Odyssey, the plan is to “design a project that would be insulated from the risks of e-commerce,” according to Stillman president Roy Stillman. Though vacant storefronts are popping up with alarming regularity even in the city’s tonier neighborhoods, vacancy rates are low in Times Square, even with ground-floor asking rents in the six-block stretch of Seventh Avenue and Broadway averaging nearly $2,000 a square foot. 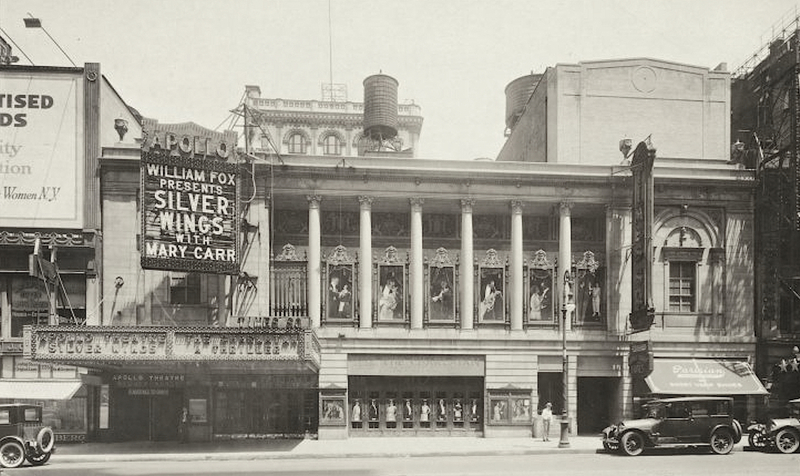 The theater itself hasn’t had the best run in recent years. Unrealized plans included interest from street fashion brand Ecko Unltd. in the mid-2000s in addition to several other potential tenants; all were halted by prohibitive costs and restrictions involving restoration. 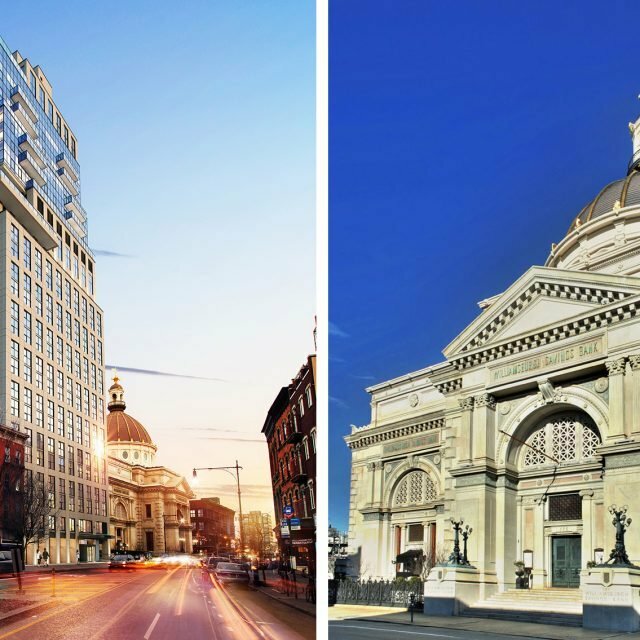 Stillman, in partnership with South Korean financial firm Daishin Securities Co., is shelling out $100 million for the makeover; the architecture and design firm Beyer Blinder Belle has been hired for the project based on their expertise in historic preservation. The plan outlines how the theater’s limestone facade will be lifted five feet to make the building’s ground floor ceilings higher; the second-floor colonnade will be wrapped in glass overlooking 42nd Street and a two-story glass box–including outdoor space–will be added. The restoration is slated to begin this year and be wrapped up within two years.